Viper Gaming’s VPN100 delivers the perfect combination across ultimate performances, ultra-fast speeds, and multi-tasking capabilities. 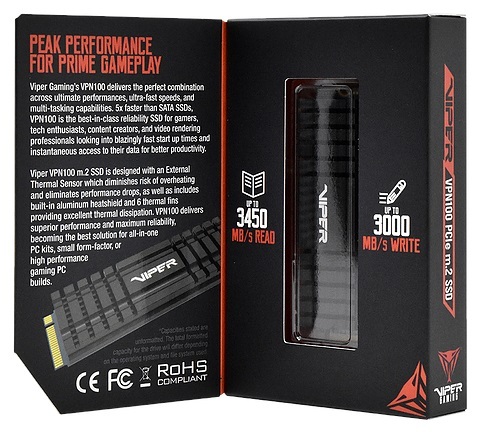 5x faster than SATA SSDs, the VPN100 is the best-in-class reliability SSD for gamers, tech enthusiasts, content creators, 3D modelers, and video rendering professionals looking into blazingly fast startup times and instantaneous access to their data for better productivity. 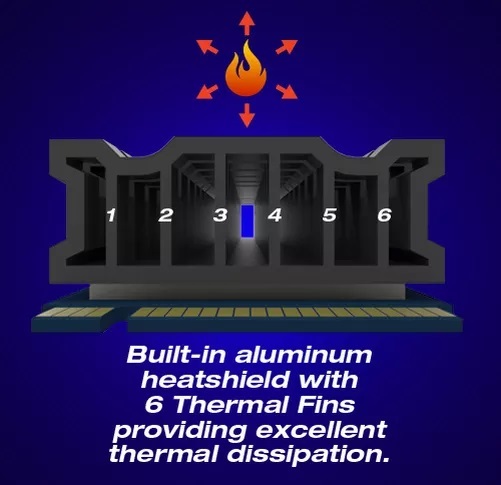 The Viper VPN100 m.2 Solid State Drive is designed with an External Thermal Sensor which diminishes the risk of overheating and eliminates performance drops, as well as includes a built-in aluminum heat shield and 6 thermal fins providing excellent thermal dissipation. VPN100 delivers superior performance and maximum reliability, becoming the best solution for all-in-one PC kits, small form-factor or high-performance gaming PC builds.